No specific formal academic qualifications are required although all applicants will need to be able to satisfy the College that they are capable of following an intensive and sometimes challenging course of study and Clinical training. Students should normally be at least 21 years old when they start the course. There is no upper age limit. Good spoken and written English is required. 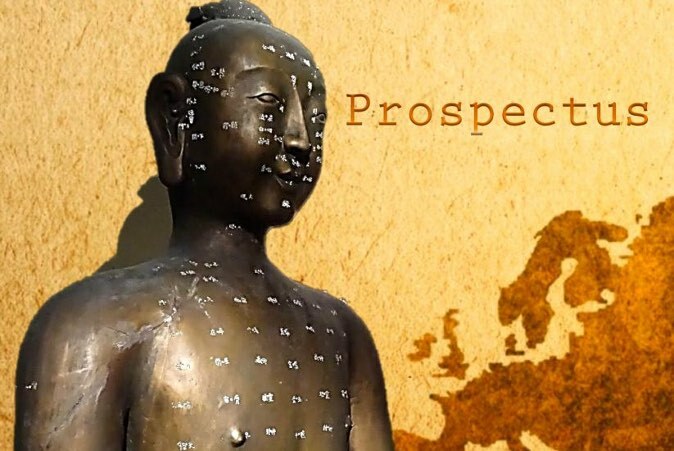 The course is taught in English by staff who have experience as TCM Acupuncture practitioners in Ireland and other parts of Europe. All technical TCM terminology is taught in Chinese Pinyin. No prior knowledge of Western Medicine or Chinese Medicine is needed. No prior knowledge of Chinese language or culture is required. 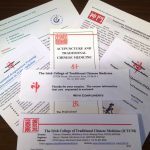 As the College specialises in turning out fully-rounded professional practitioners, not mere theoreticians, the course is best suited to those who hope to take up a career in TCM. In this profession the ability to effectively communicate with others on a one-to-one basis is very useful. However, those who have not yet had the opportunity to develop such skills will do so during the course. A general interest in Chinese approaches to medicine and health will be valuable, as will experience dealing with people in either a health-related, caring or other socially interactive work environment. While the Licentiate is specifically designed for part time students, applicants who already have significant commitments in terms of work or family will need to be sure that they have the resources and support to sustain them through the course. As this is a part time course, it should be noted that we cannot consider applications from overseas students needing a Student Visa. 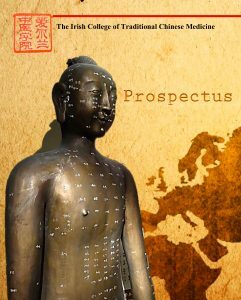 Obtain a full Prospectus pack, Acupuncture Professional Training (Lic.TCM) Prospectus pack online as a PDF file or from The College Secretary (by post). If you ask for a postal pack you will receive a full colour brochure about the college. Read the prospectus pack carefully. or post it to the College. Include an email or letter explaining why you wish to apply. Include a passport sized photograph of yourself. The name, postal address, email address and telephone number of 2 people who know you well and can vouch for your character and academic ability, and can give their view of your suitability to work with people in a caring profession. Here you can go directly to the Lic.TCM Prospectus pack which includes the Application Form. We take up references for all applicants. Suitable applicants are interviewed in the College premises in Dublin where there is an opportunity to speak with members of staff and usually a chance to meet students or other applicants. Applicants are shown around the College and the Teaching Clinic and the whole process usually takes between 30 and 45 minutes. People who study Chinese Medicine at the Irish College of TCM come from all walks of life, from many different countries and from a wide variety of backgrounds. The College has an equal opportunities policy which applies to all candidates. Each applicant will be considered on his or her own merits. are competent to meet the educational and other demands of the course. are fully committed to an intensive and demanding course of theoretical and practical study. display personal attributes suited to a caring profession. Selection will be based on an applicant’s effort in completing the application process correctly; meeting the entry requirements of the course, and their suitability for the course based on references and interview. Places are limited and after interviews are conducted, places are offered on a first come, first served basis. Detailed information on course venue, dates, times and all other relevant particulars are then provided on acceptance to the programme.